WD-40 to lubricate the columns and the raising and lowering mechanisms. Then it’s on to the blades. Like the joiner, my Rigid planer has indexed blades. These are reversible, and I know I have a chip at one point on the pair. I just have to remove the blades and the clamp mechanism, clean off the clamp, reverse the blades, and re-install. Again, because they are self indexing, I don’t have to mess with setting blade depth. 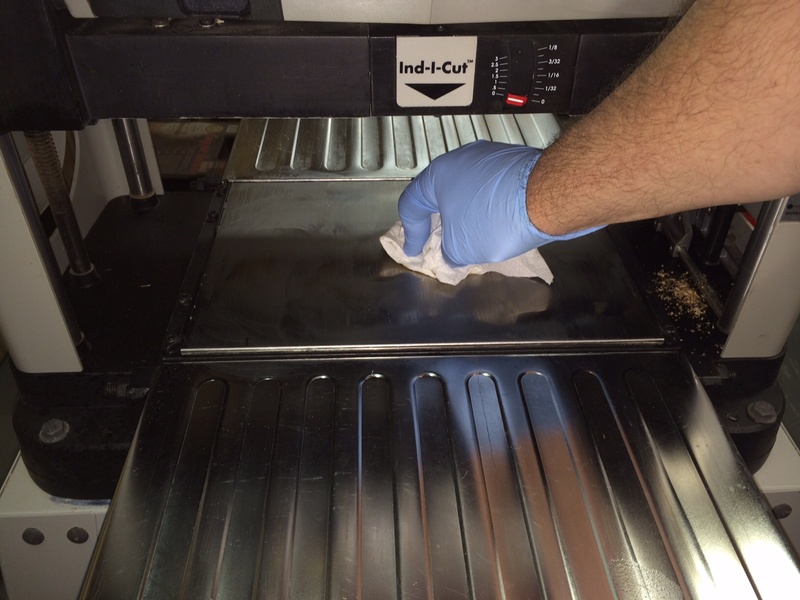 After the business end of things is taken care of, I wax down the platen. 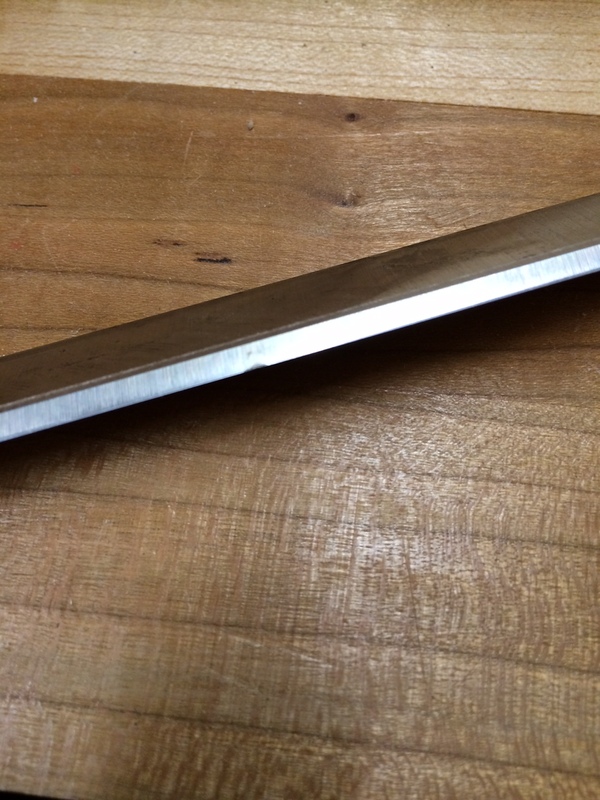 During normal use, when woods starts to bog down when planing, I know I have 1 of 2 things that I have to do – either change the blades, or wax the platen. The waxing tip I got several years ago, when I was about to replace the planer because it couldn’t take wood any more. I don’t know where that tip came from, but it was a life saver for my apprentice!